Smarter control. Improved accuracy. Fresh new look. Serve up your most delicious and succulent BBQ for family and friends at your next cookout, without the learning curve, hassle or frustration of controlling your cooker’s heat. 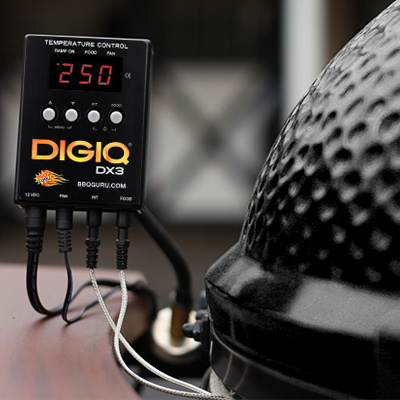 With new custom settings and enhanced features, the new cutting-edge DigiQ® DX3 is your must-have automatic temperature control for consistently creating tender, juicy slow-cooked meat every time. Automatically keeps your cooker’s heat at the perfect, precise temperature like never before. 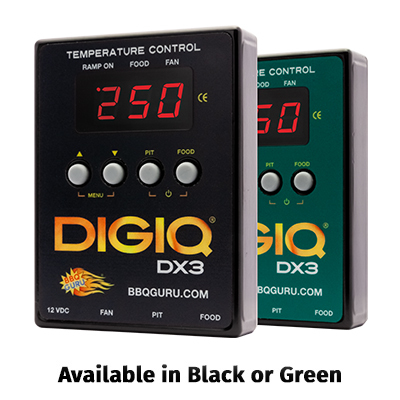 The new and advanced DigiQ® DX3’s SMART COOK feature makes it easier to hold even temperatures with pre-programmed modes that are perfectly tailored to your cooker. With a simple touch of a button, choose your ideal SMART COOK setting, and the improved algorithm will learn and adapt to your specific cooker’s needs by adjusting the percentage of the time the fan runs based on the size and style cooker you have. Since every cooker performs differently, this feature was developed to dial-in to your cooker’s particular needs, whether it requires more air at shorter intervals or less air at longer intervals. These adjustments to the supply of airflow make your cooking temperature even more precise, which means all your favorite meals will be bursting with flavor. The DigiQ® DX3 has a sleek, upgraded new look and also comes with a completely redesigned Pit Viper fan. 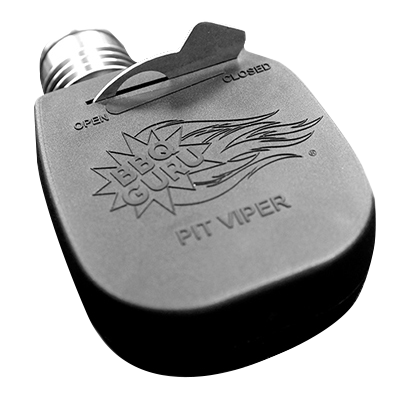 The high temperature and water resistant Pit Viper fan includes an easier to use damper system with fine-tune adjustment capabilities, allowing you to create your perfect temperature and maximize fuel efficiency. Why is controlling your cooker’s temperature important? 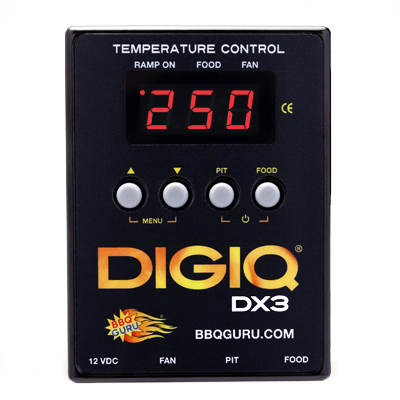 Activate the “Ramp Mode” feature and the DigiQ detects when your food is approaching its “done” temperature. It then shuts off the fan blades. That allows you more time to remove your meat at the perfect moment, avoiding the chances of overcooking. Since opening your cooker’s or smoker’s lid can cause a quick drop in temperature, DigiQ’s built-in algorithms evaluate when a sudden drop in temperature has happened. It then automatically minimizes temperature disturbance and speeds up recovery time to the desired cooking temperature. PartyQ – Portable and great for those lives that are on-the-go. 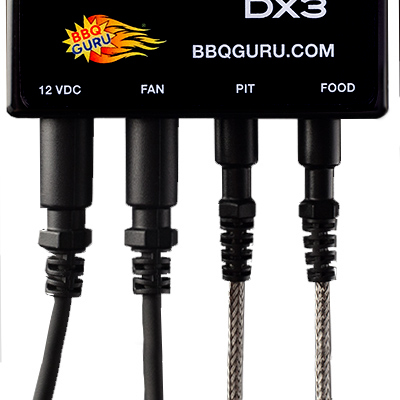 Because the PartyQ runs on AA batteries, it is fantastic for controlling cooker temperature when camping, RV’ing, tailgating, or just cooking in your backyard..
CyberQ – Controls your cooker temperature and comes with three digital food thermometers. Monitor and control the CyberQ via WiFi with your mobile device or desktop computer. Also alerts you when your food is done with an e-mail, text, or audible alert.